The drive to Walla Walla from Seattle makes the trip worth it. You experience quite the variety in terrain as you travel from the city to the mountains to the desert. It’s incredible. This area in particular reminded me of a scene straight from Westworld. We arrived on Friday afternoon, checked into the hotel, then ventured over to Passatempo for a great Birthday dinner. I’d highly recommend checking out their outdoor space. 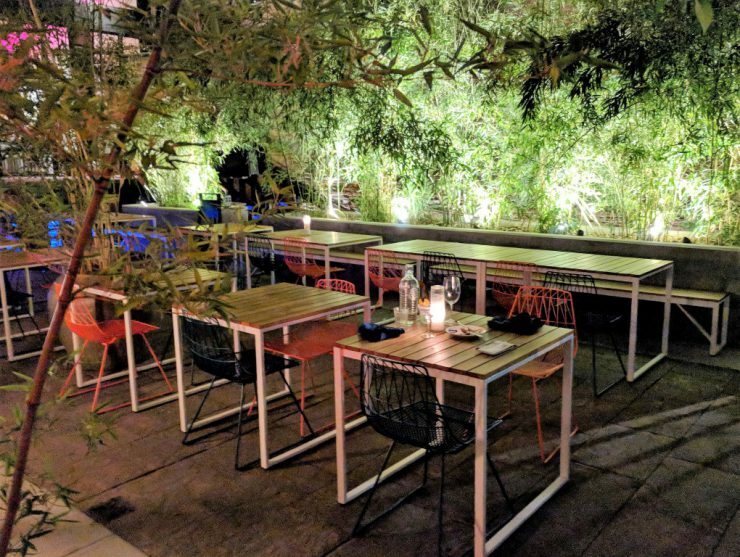 It has a unique, cozy atmosphere – I wish our rooftop deck looked like this. We booked a wine tour with Imbibe Wine Tours on Saturday. We had a private car and tour guide who drove us around to different wineries and shared a bunch of interesting facts about the region. 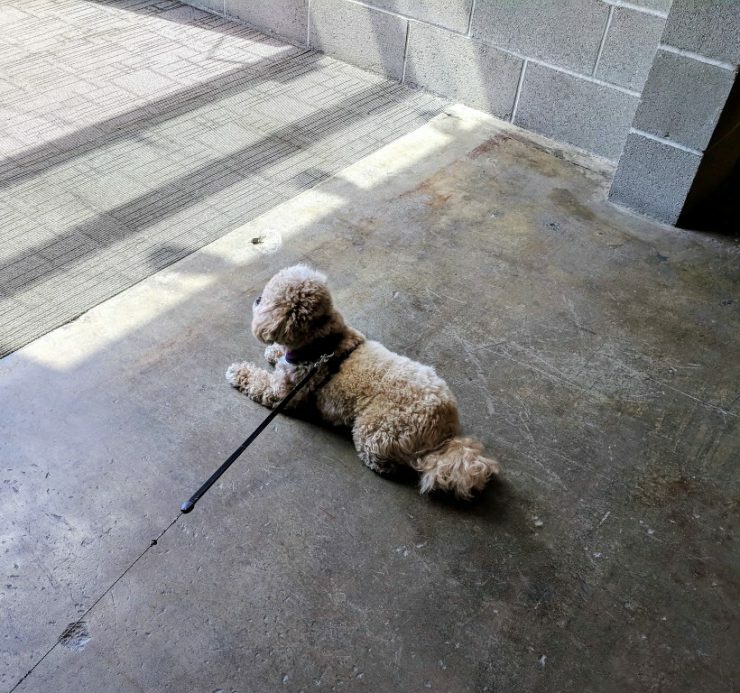 We also decided to take Toaster with us, so it was awesome that they allowed her to come and tour wineries with us! Our first stop of the day was at Seven Hills Winery. 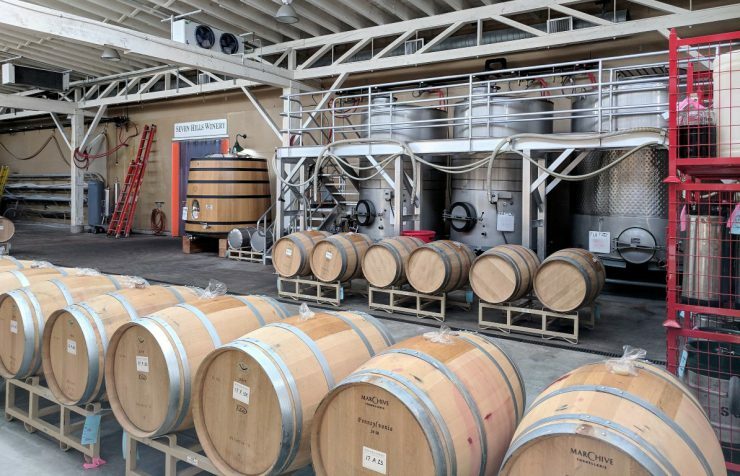 I always feel a little weird getting to a winery in the morning – something about drinking wine right after you have coffee always throws me off. But it was a great place to start our tour. We tasted five different wines, then got a tour of the winery, and even got to try a barrel pour. My favorite was definitely the Ciel du Cheval red blend! They have quite the collection of wine! 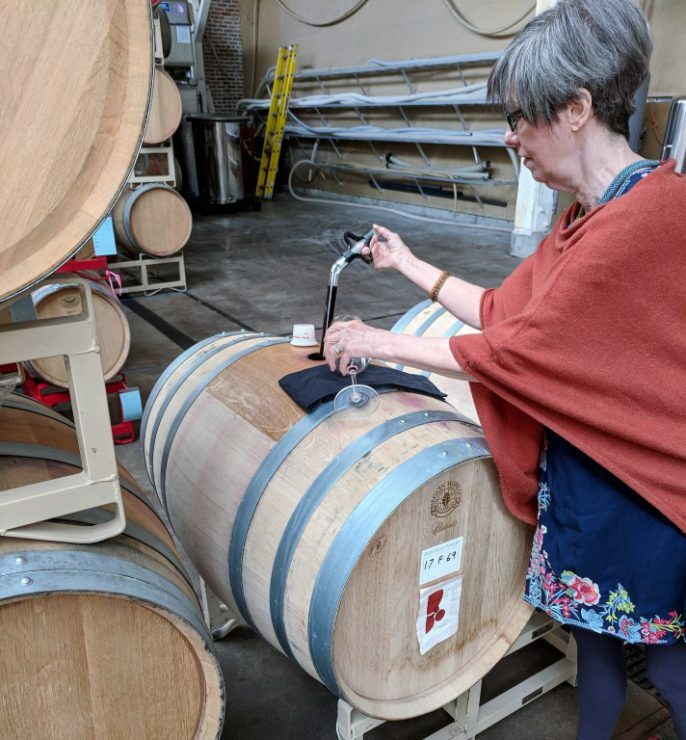 I love getting to taste wine from the barrel because of the different tasting experience. 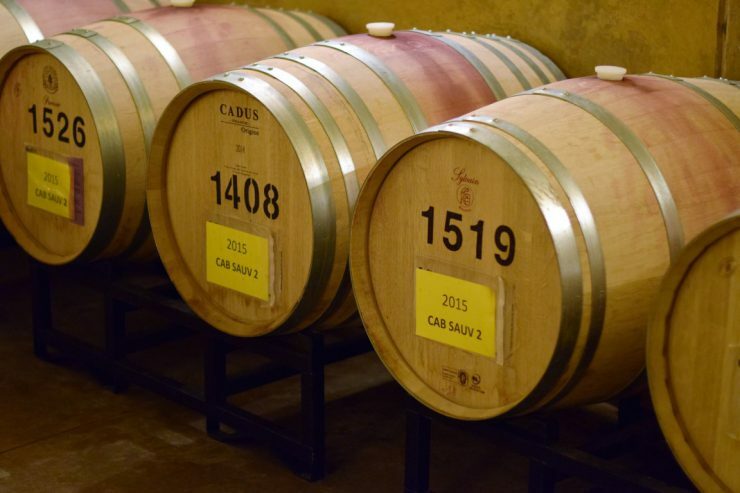 Wines from the barrel are still aging and aren’t quite ready for bottling. 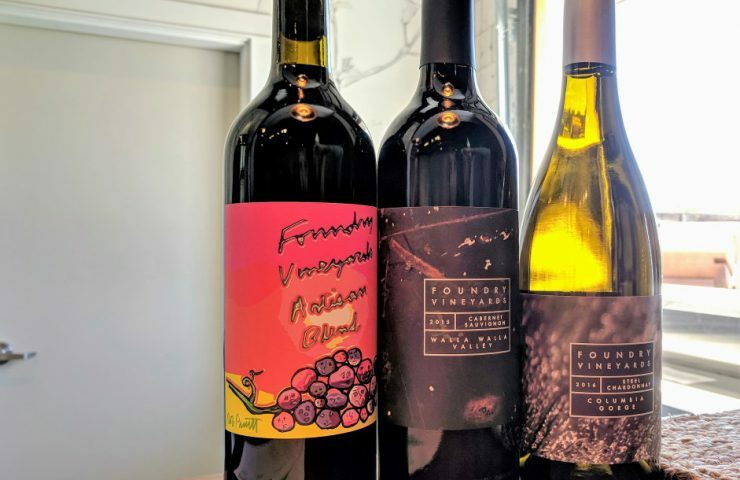 It’s fun to practice some of the go-to wine tasting guidelines and try to distinguish the differences between wine from the barrel and wine from a bottle. Our next stop was Foundry Vineyards. This place is really unique because not only do they make wine, but the tasting room showcases different art exhibits throughout the year. 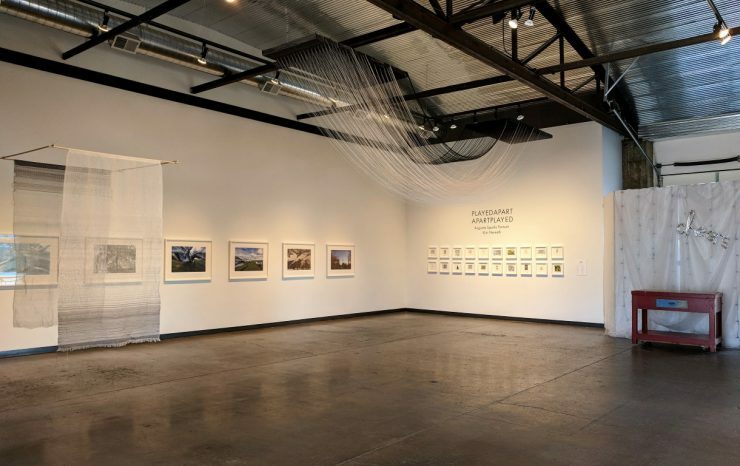 This photo shows their current exhibit Playedapart-Apartplayed by Augusta Sparks Farnum and Kim Nemeth. You can also check out all of their past exhibits on their website. 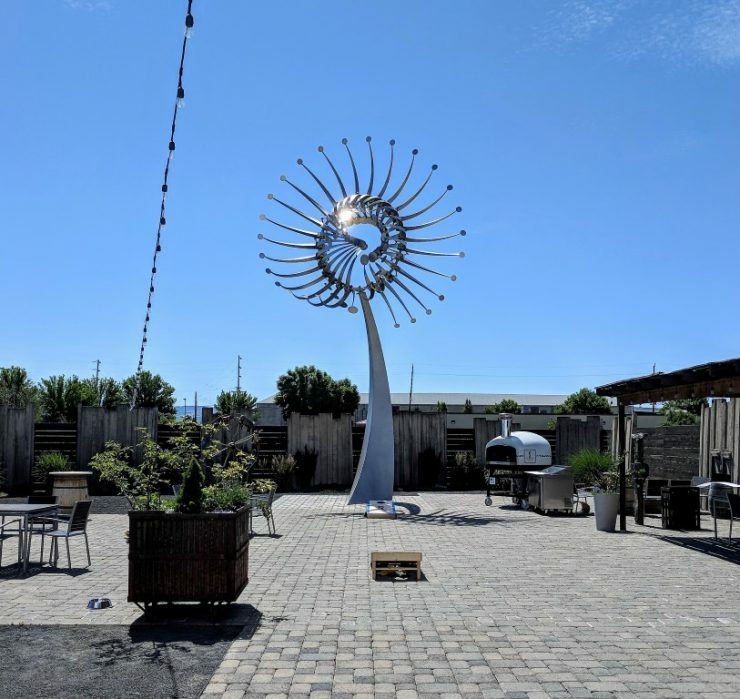 The Foundry also has a great outdoor space that they use for tastings and for hosting parties throughout the year. 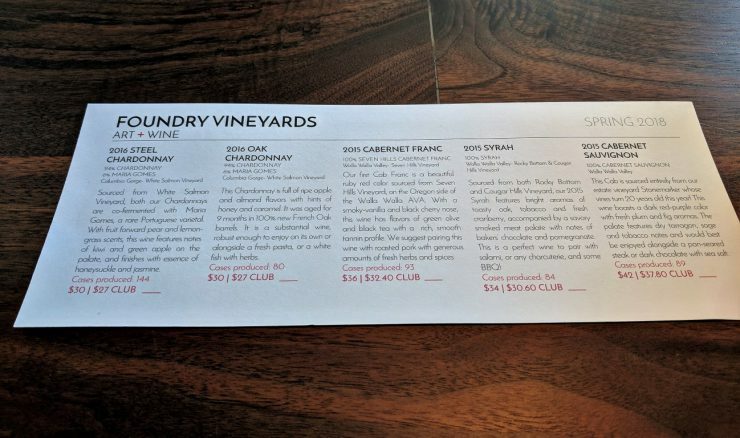 We ended up tasting 7 different wines, including what’s listed below and their Rosé and Artisan blend, which is a Bordeaux-style red blend. It happened to be my favorite; not only was the wine great, but the bottle features awesome art on the labels. The Artisan blend is on the left. Aren’t the labels great?! From the Foundry, we went to Castillo de Feliciana, or “Castle of Happiness,” which focuses on Spanish-style wine. We sat outside on the patio, enjoyed our picnic-style lunch served by our tour guide, and sampled some wine. This was probably one of the best meat and cheese platters we’ve had. My favorite wines from this winery were the Miercoles red blend, Albariño, and Malbec. 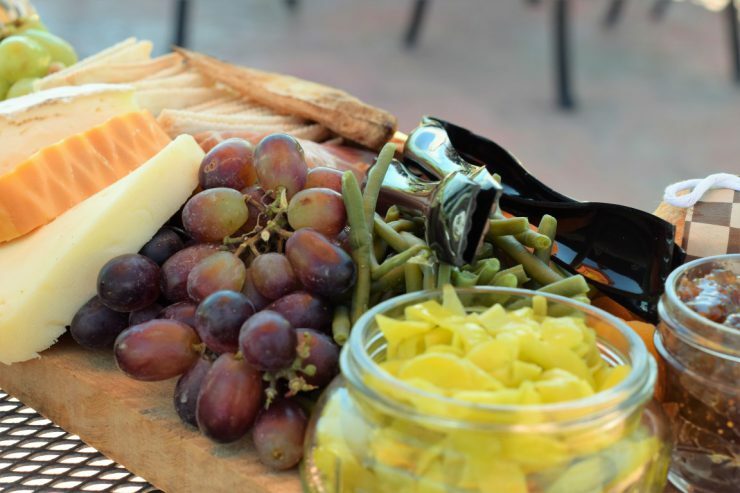 Instead of producing large volumes of wine, Garrison Creek’s business focuses on selling grapes from their vineyards to other wineries in the area. I really enjoy visiting smaller wineries like this because you end up trying wine that you don’t find in stores. 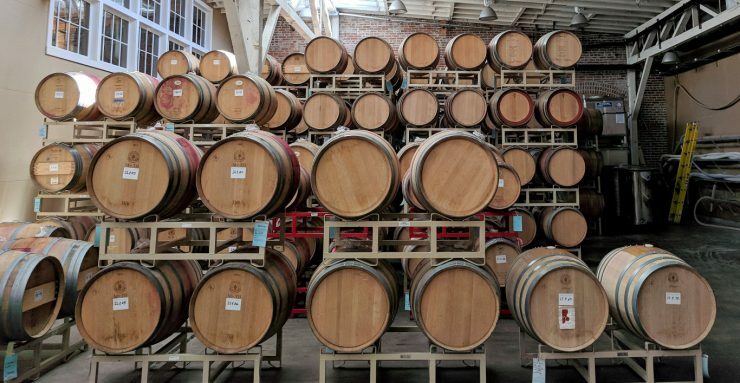 Most places that produce limited quantities rarely distribute it to stores and restaurants; they only sell their wines through wine clubs or through their tasting rooms. 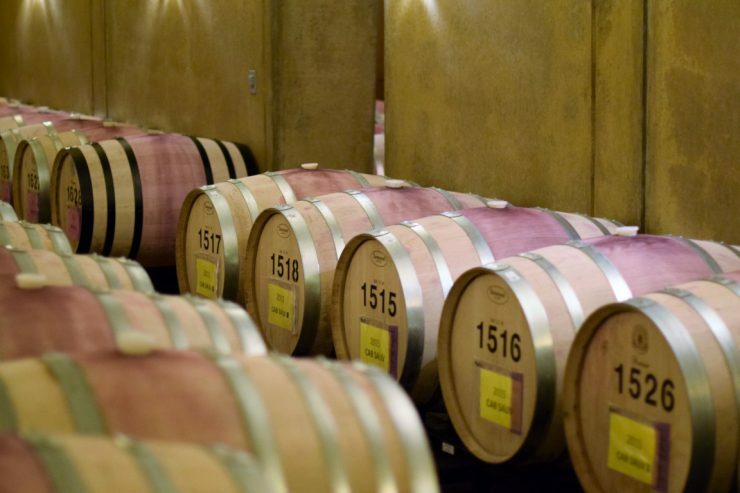 We went on a tour of their cellar and saw the barrels they store all of their wine in. Not surprisingly, it wasn’t a large cellar. We got to try another sample from the barrel and it was great! The one downside about this place was their prices were a little higher than most in the area. I wish I would have checked on that before buying 2 bottles of Cabernet and 2 bottles of Syrah. 😉 Oh well, Evan and I will just enjoy these ones on a special occasion I guess. After Garrison Creek, we made a quick stop at Amavi Cellars. 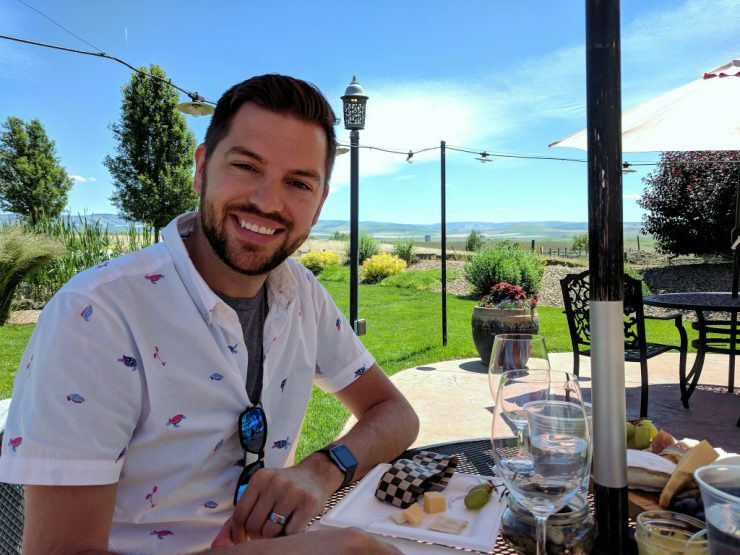 Evan and I had visited this winery back in 2015 during our first trip to Walla Walla. 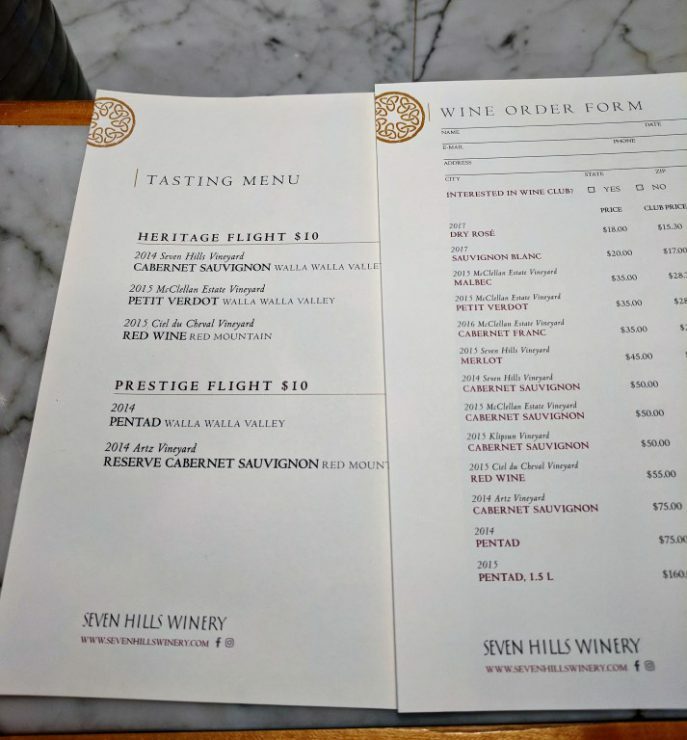 We also tend to buy a lot of their wine in Seattle, so we asked our driver to include it on our list of stops for the day. We only had about 45 minutes here so it was a quick tasting, but we sat outside, enjoyed the great views, and chatted with some people who were also visiting from Seattle. Their Cabernet is one of my favorites from the region, so we stocked up on a few bottles. Our final stop of the day was at Long Shadows. 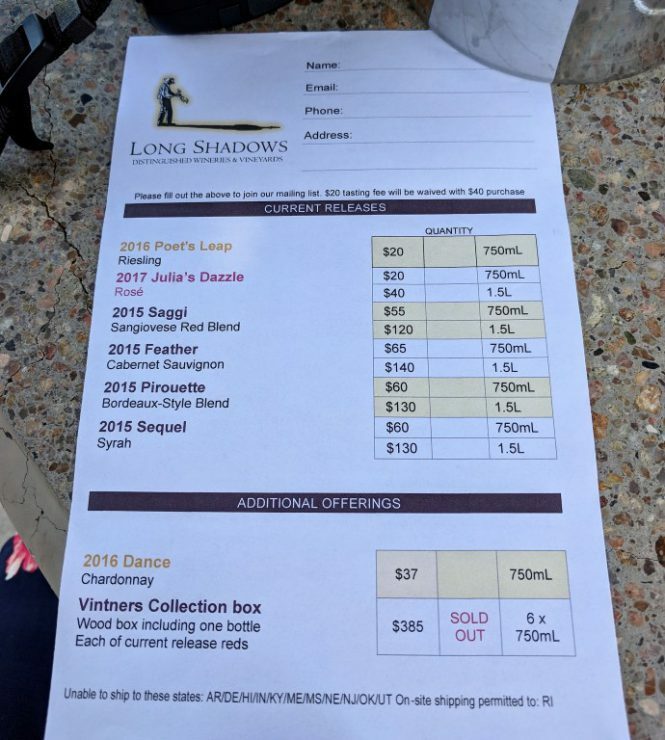 We sat outside on their patio and sampled the wines shown below. My favorites were Julia’s Dazzle Rosé and the Feather Cabernet. And we finally managed to get a photo of the three of us! Our driver dropped us and our good supply of wine back off at the hotel once we wrapped up at this last winery. 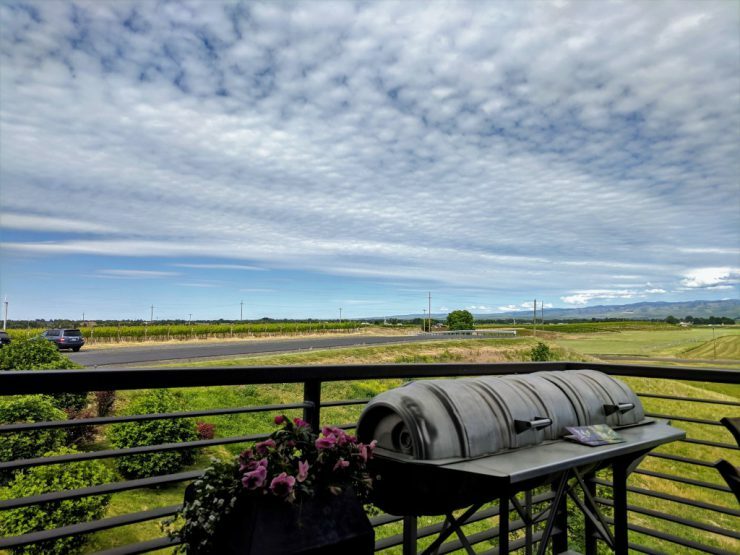 We had a great experience with Imbibe Wine Tours and I’d highly recommend it if you’re considering a wine tour in Walla Walla. 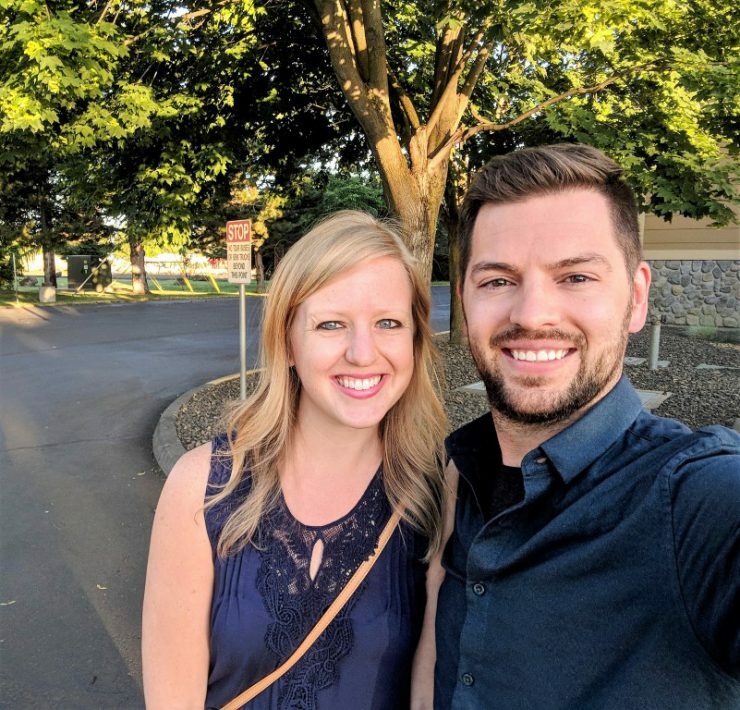 Evan and I have gone on a handful of tours in Napa/Sonoma and in Washington, and this one was the best one we’ve done. I really enjoyed the private tour experience, but more importantly, our guide was knowledgeable, super friendly, and even watched Toaster for us a few times throughout the day. Plus this wine tour company has a lot of relationships with the local wineries, so I definitely felt like we got some extra special treatment at the wineries throughout the day. It was a long day of wine tasting, so we rested up a bit before heading to Saffron for dinner. Evan and I split appetizers and a tagine for dinner. The food was great and the restaurant had a fun atmosphere. The next morning we stopped by L’Ecole No. 41 before heading back to Seattle. 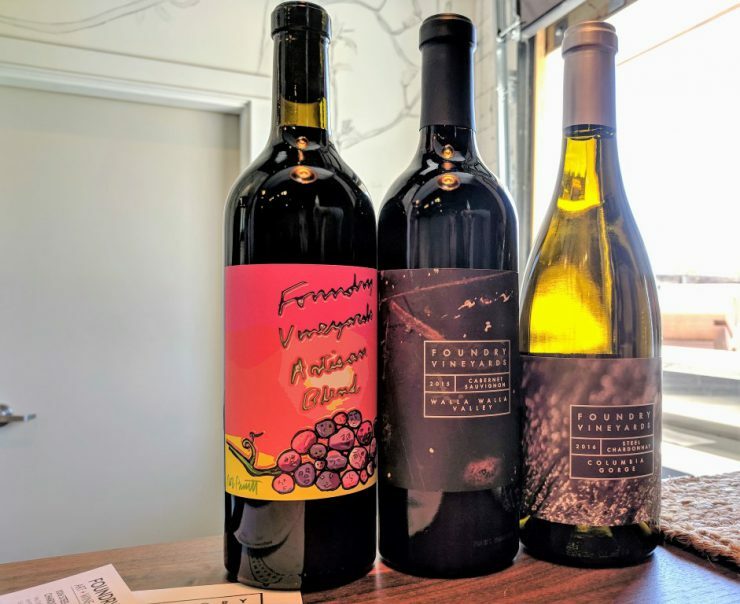 This was our second time visiting this winery, and similar to Amavi, we tend to purchase their wine frequently in Seattle. We sat on their deck and split a small tasting, before purchasing a few bottles for our collection. 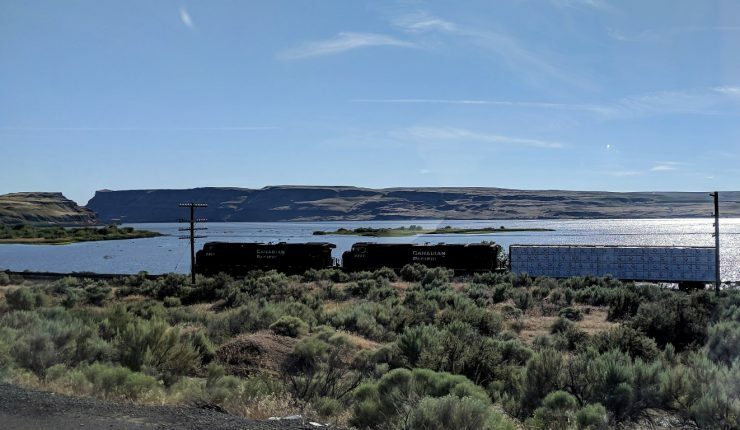 We started our 4 hour journey back to Seattle shortly after, through the desert and mountains, and gradually watched the temperature decrease from 90 degrees to 55 degrees back home. It was quite the drastic change, and a good example of how geography and terrain influences the weather. 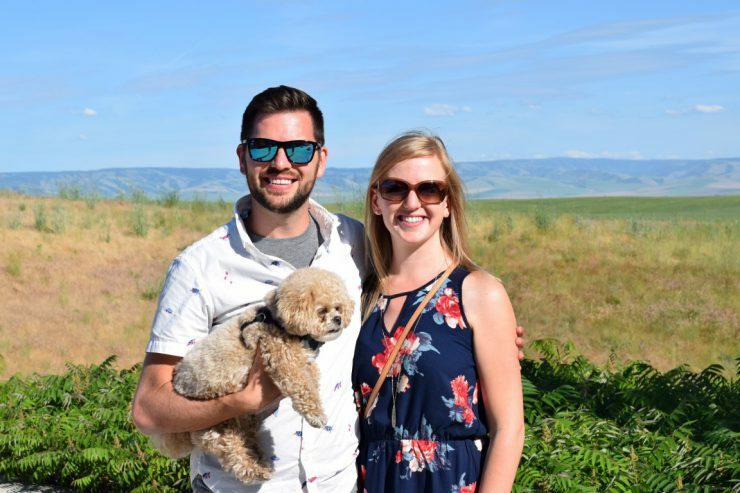 We had a great time visiting Walla Walla and I really enjoyed celebrating my Birthday with my two favorite people (uhh I mean, person and dog) over the weekend! And if you haven’t ventured to the wine region of Washington or tried Washington wine yet, you should definitely do that! 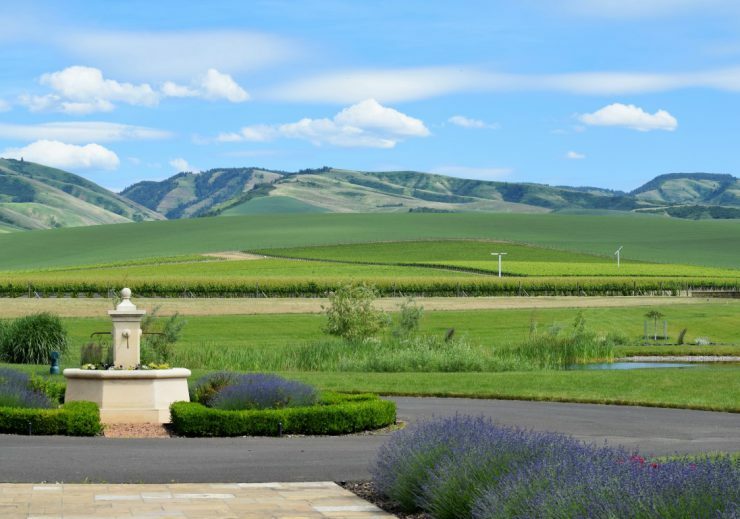 Side note: if you’re interested, the wineries we visited in 2015 during our first trip to Walla Walla included LE’cole No. 41, Cougar Crest Winery, Amavi Cellars, Northstar Winery, and Zerba Cellars. 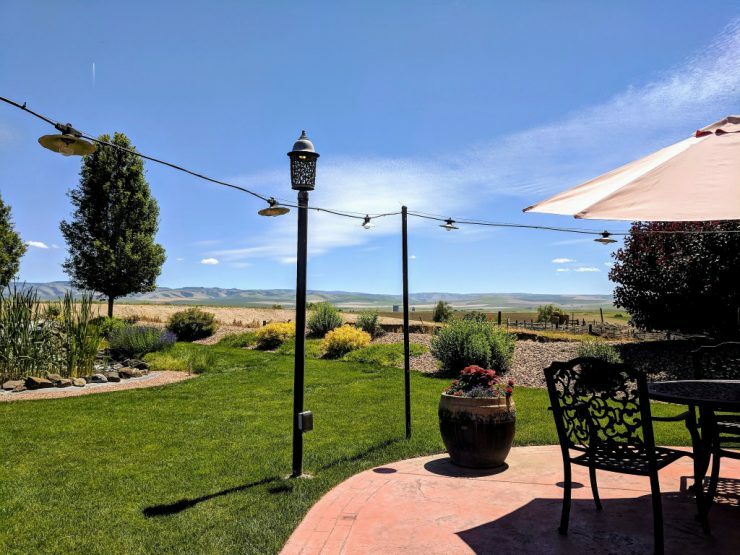 And we booked our wine tour through Walla Walla Valley Wine Tours.